During the registration process, the school should ask various questions to get the correct insight into the student’s specific needs — both in terms of what they need to develop their driving skills, and to unearth the type of interaction they’ll benefit best from with their Instructor. 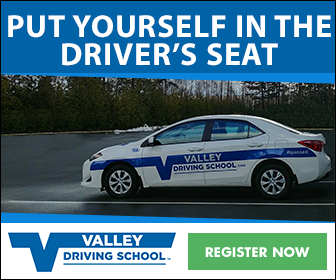 Reputable driving schools that place an emphasis on student success, and understand the complexities of how people learn, will allow clients to request a certain Instructor. These requests are usually the direct result of a positive referral from friends, family, or social media. Alternatively, students can describe the type of Instructor they’d like to be matched with; this can sometimes mean someone who has worked with ESL frequently or speaks another language, or a preference to learn with a male or female Instructor. In the event a student doesn’t think the pairing is a match, they should feel confident in addressing their concerns with the office manager. The office should respond with the sympathy and flexibility to accommodate a change of Instructors if necessary. 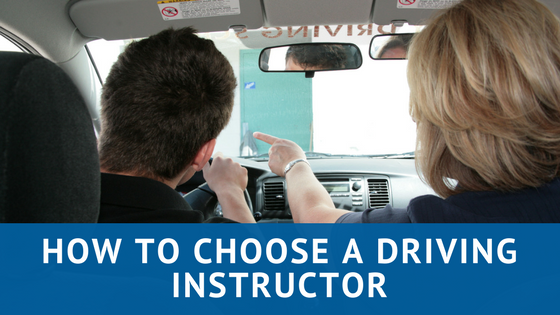 Having the option to change Instructors can be difficult to accommodate with a smaller driving school. Sometimes no additional staff means no alternative Instructors to choose from. A school and their Instructors should also be able cater to students who have busy personal schedules with work, school, etc., so specific Instructor availability may be a primary aspect of the selection process. Instructors who are available on evenings and weekends, for example, can accommodate certain lesson availability that helps students to choose times that work with their busy schedule. It’s inevitable that great Instructors build up a wealth of positive referrals over time. We see this happen consistently when family members and friends who had a great experience recommend the same Instructor. When students learn and feel safe while having fun simultaneously, they tend to remember their Instructor. If the Instructor didn’t feel comfortable in this situation to offer constructive insight after the student said the turn went “great”, the opportunity to learn would effectively stop there. An Instructor will be requested if they can make those difficult discussions enjoyable, and worthy of learning. It’s less about coming down hard on students who make mistakes than it is about encouraging them to see where they’ve made an error and how to best correct it. A comprehensive summary at the end of the lesson with a report for the student and/or at-home supervisor to review can also be helpful when determining if the learning is happening and what the Instructor is teaching. This type of progress report, on top of meaningful interaction, can help the supervisor know the areas to review. This will ensure positive ongoing driver development and what aspects of driving — cornering and speed in this instance — to practice, in between lessons. Successful Instructors have the ability to coach students on how to make safe decisions rather than just telling students what to do and how they should be driving. Offering critical feedback and experiential education allows students to develop critical thinking skills and make the correct decisions while behind the wheel. Once a qualified supervisor or Instructor is no longer in the vehicle, a new driver needs to have understood and developed the ability to make their own road decisions. If students are always told how to react and behave, the Instructor is removing their ability to make that turn or enter that intersection when no one is there to tell them how or walk them through the maneuver. In order to help a student with self-development, professional Instructors need to formulate comfortable environments that allow their students to be actively involved in their training. A good Instructor is able to help a student feel confident and be heard, and their success is truly important to the Instructor. Instructors who are up-to-date on their training and certifications are also valuable to students and their parents - and rightfully so. Instructors should constantly refresh their knowledge and skills with ongoing training and upgrading. This ensures Instructors are always knowledgeable with any updated driving rules and regulations and constantly relaying accurate information and feedback to their students. We all learn and interact in different ways, so making the right connections with the right Instructor is key in how we understand and absorb knowledge to develop our own driving skills.